Share the App. Get Paid Residual Income! It is such a simple and rejection free recruiting tool, that every Network Marketer would benefit from using it. 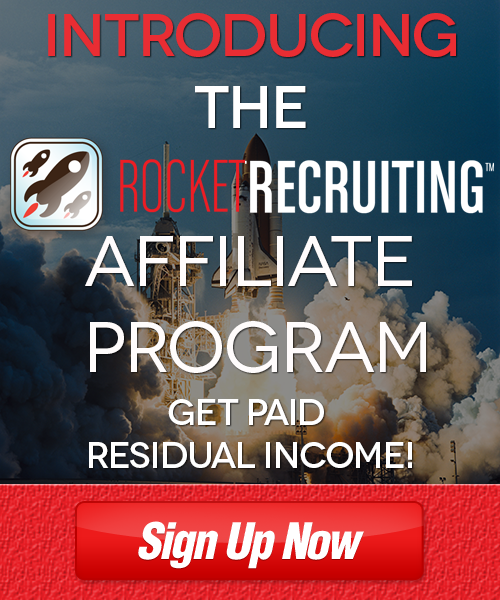 For Enrollment in the New Rocket Recruiting App Affiliate Program. I look forward to working together to help Network Marketers simplify the Recruiting/Sponsoring process. Network Marketers Helping Network Marketers Succeed!